Despite a negative perception from locals, Iranians feel a great sense of belonging as more of them make Malaysia their second home. MORE Iranians are coming to the country either as Malaysia My Second Home participants, on business or as students but public opinion is negative towards them due to many drug-related arrests highlighted in the media. Iranians are the biggest group of Malaysia My Second Home participants and are shareholders of more than 2,000 companies. There are also about 15,000 students at institutions of higher learning with many bringing along their families. 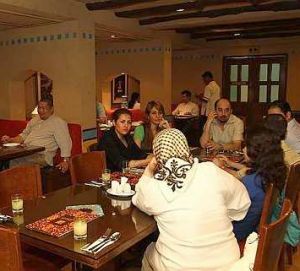 More to come: Many Iranian restaurants are cropping up catering to the increasing demand. About 60,000 Iranians live here and some 160,000 tourists were recorded last year, a big increase compared with less than 10,000 in 2002. IranMalaysia Group chief executive officer Pooria Asteraky said their fondness for this country was not a surprise as relationship and interactions went back many years. “We believe the version of Islam here came from us. It is evident as we share many similarities in our practices. “For example, the type of hijab worn by Malay women are similar to ours which is different from the other Persian Gulf states. “Besides, Iranian products such as books, coins, carpets and fabric can be found in the museum with some dating more than 1,000 years. Even many scenes in P. Ramlee movies were driven from Iranian ancient literature. Catering to Iranians: Mashid Barzager works at the Persian Palace supermarket in Ampang. “There are also many Persian words in Bahasa Malaysia and some are very old and not commonly used by modern Persians,” he said. Asteraky said Malaysians were a friendly and diversified society and this had helped newcomers to adapt well in the new place. “Today, we are more globalised than any other time in history. People migrate for various reasons and it is evident in cities like Kuala Lumpur. “Iranians love property and on average, an Iranian family invests RM1mil in it,” he said. “Malaysia’s laws in protecting foreign investment and good administration creates a lot of trust and is appealing to us. “Iranians residing here spend RM500mil a month and on average an Iranian student contributes RM40,000 to this economy every year. “If we count investors and entrepreneurs, the figures will hit the sky. Last year, each Iranian tourist spent RM8,000 in Malaysia generating a total revernue of RM1.28bil,” he said. Despite the positive aspects they bring to this nation, the public opinion is negative against them due to many drug-related arrests. “The number of arrests are near 0% compared with the number of us here. “I have noticed that since Bank Negara dropped all banking relations with Iran in 2009, drug is being used as the medium of money transfer. By shutting the legitimate banking many are using illegitimate channels. “The only solution that will stop the trafficking is to get legitimate banking channels open again. “We feel like being punished socially because of something which has no relation to us. Our pride is deeply hurt with double standards in banks. We want the bonds of friendship between ordinary citizens of both nations to be stronger and consistent,” he said. 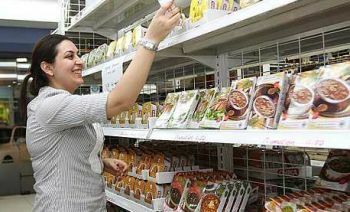 Iranians are slowly opening up many restaurants and grocery stores to cater to the demand. Expatriates mostly live in Ampang, Sri Hartamas, Mont Kiara, Damansara and Bangsar. However, the students naturally live close to educational institutions such as Damansara Perdana, Bandar Utama, Puchong, Sri Petaling, Bukit Jalil, Ampang, Pantai, Serdang, Sri Kembangan, and also in Johor Baru and Penang. Many Iranians refer to Malaysia as their home. Erfan Resources managing director Ehsan Pakroo said he felt more Malaysian than Iranian. “My family migrated here when I was 12, so I grew up here like a Malaysian,” said the 23-year-old. “I don’t miss Iran much because I have my family and business here. This is my home. I even speak Bahasa Malaysia and mix well with the locals and I have multiracial friends,” he said, adding that it is easy for him to adapt to the culture. Hairstylist Mehdi Roscami, who has just been here for two years, said he came to Malaysia to experience living abroad. “I came here to complete my studies and I am now working to save money. I don’t know when I will go back as I love Iran and my family is still there. But Malaysia has been a nice place so far,” he said. Persian Palace Supermarket owner Dara Abizadeh, who manages two shops in Ampang, said he had no plans of moving back because business had been good and he was now expanding his business. “I love my home country but the situation there has been difficult lately and I just want to be happy. Dara Abizadeh said his son was already studying here in 2002, so he decided to move to this country with his family in 2006. “I have never looked back. My daughter is in Teheran and I have a house and a factory there, so whenever I miss home, I will go back. “My son is married to a local Chinese and I have a nice Chinese family here. Now, this is my home and I am happy,” he said.